We accept food donations all year round! We serve individuals from many parts of the world, so we like to keep our Food Markets stocked with multicultural groceries. Drive around to the back of the Wellstone Center to the last set of glass doors. Come in and find the Food Market on your right. Check in with staff and they will assist you. Park in the spaces in front of the apartment building. Come downstairs, the Food Market is on your right. Check in with staff and they will assist you. 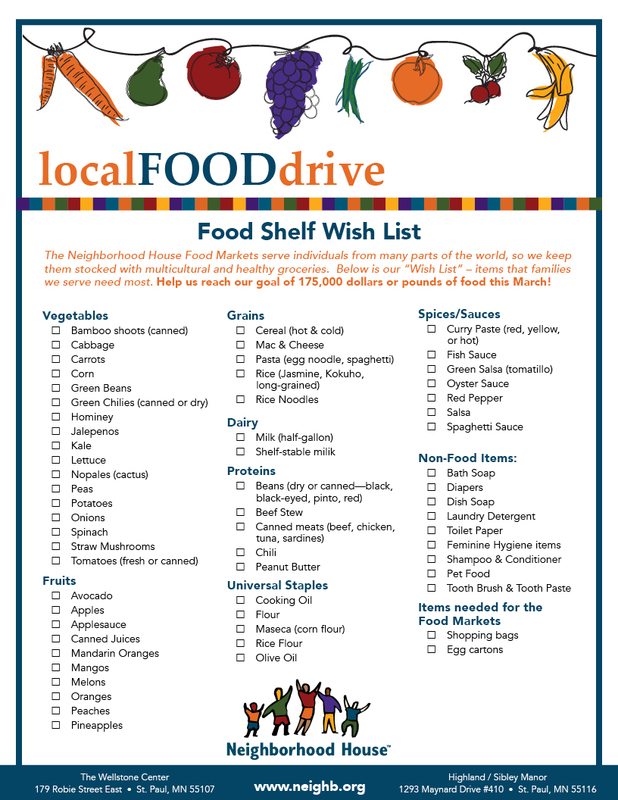 For more fun ideas, check out our Food Drive Wish List.